Why buy a veggie and just eat it when you can regrow it and keep on eating it for years to come, literally! 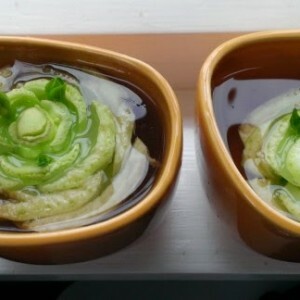 Bok Choy is quite easy to regrow just place the end of the root into some water and leave it in a well-lit area. Wait a few weeks and it will be ready to put into a pot with some soil. 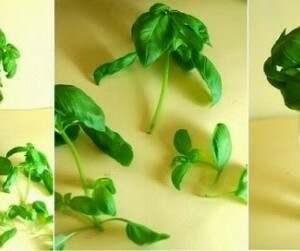 Place some basil clippings (with stem 4 inches) into a glass of water. Be sure to leave it somewhere that it will get direct sunlight. Give the stem a little time and it will grow eventually becoming ready for a pot with soil. Put your stumps in about a half inch of water be sure to keep the water level a steady half inch. After a few days, roots and leaves should begin to appear. Then simply plant it in some soil. 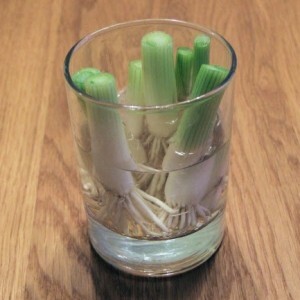 Leave an inch of scallion attached to the root and place it into a small glass don’t give it much water just a small amount. Don’t over do it with sunlight a small amount will be more than enough. 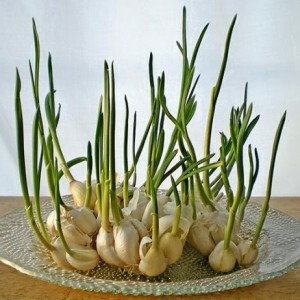 Put your garlic sprout into a glass with a small amount of water this will produce many more garlic sprouts. Leave your carrot tops in a dish with a tad bit of water, sit this dish in your windowsill and wait. 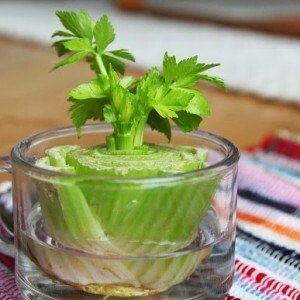 place the base of your celery in a saucer or small cup, fill it with a small amount of lukewarm water and leave it in the sun. 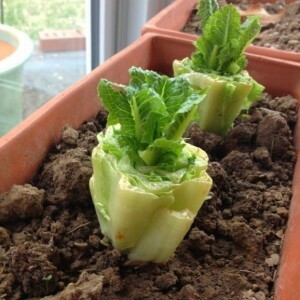 Leaves will begin to grow in the middle of the base and you can put this in a pot with soil. Leaving you with a celery plant that will last a lifetime. 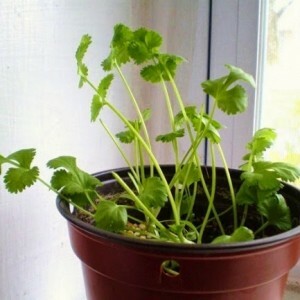 Cilantro stems will grow quickly if you put them in a small glass of water as soon as you think the roots are long enough you can transfer this into some potted soil. Give the stem a little while and it will become a full plant. 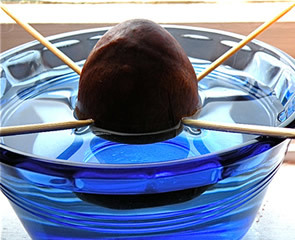 All you really need to regrow an avocado is the seed in the middle.Put a small container in a well-lit area using toothpicks suspend the seed over it covering half the seed with water. This process usually takes about two months but it is worth it! stems will begin to grow when the stems are about six inches tall cut half of them away when leaves begin to appear plant the seed in some potted soil or the ground and wait. Previous ArticleThis “Healthy” Drink Destroys Your Thyroid & Is Linked To Breast Cancer! Next ArticleAfter Reading This You Will Want to Freeze All Your Lemons!